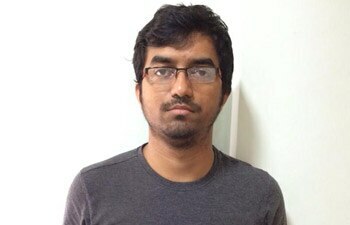 An Indian who used to operate ISIS/ISIL's twitter handle from Bengaluru. Supposedly an engineer by education who worked for some tech firm at a reasonably good salary. And Madarsaas do not teach terrorism. Perhaps because they do not need to. LINK for those who are interested.. He should be made to write a 100.. no no no.. let's say 500 times.. "I will not run recruiting campaigns for ISIS ever again" .. Lets the poor boy go .. After all there's no charges on him. such people are likely to help terrorists who do things against India.helping ISIS exposes the mentality & thinking of a person.Its very good that he has been brought under attention before he supports any thing against india. First of all checked on Bud pai. Unless Budmaas started posting when he was 12, this guy cant be Budmaas. Bud Pai, post another pic in LM to show you are not him. So, wait for a few more days. There might be a news on links to TMC (he is from Bongland), which in turn would be a conspiracy by Amit Shah to unseat Didi..
what is so attractive about ISIS that Muslim youths all over world are attracted to it? I hear that one of the reasons is that moderate voices are not so much audible. Even after Imams issuing a fatwa against people joining ISIS , it continues to be attractive to disillusioned youths. Believe me, being part of the team which "propagates truth" is very attractive. Even if it is at gunpoint. Looks like Mehdi has some followers in Oz. some mofos are even taking selfies and posting on twitter. Last edited by sarv_shaktimaan; December 15th, 2014 at 07:28 AM. not sure of the authenticity but this is something I read on fb. अगर बेंगलूरु पुलिस अलर्ट रहती तो मेहदी की गिरफ्तारी अक्टूबर में ही हो जाती. दरअसल एक शख्स ने तब दावला [साम्राज्य] ISIS नाम से चल रहे वाईफाई कनेक्शन की जानकारी पुलिस को दी थी, लेकिन तब पुलिस ने इसे हल्के में लिया. ये वाईफाई कनेक्शन किसी और का नहीं...मेहदी मसरूर बिस्वास का था, जिसके जरिये वो ISIS के आतंकियों के संपर्क में रहता था. बैंगलोर पुलिस को लिखित में शिकायत की गयी थी की एक शक्स के वाईफाई का कनेक्शन का नाम संदिग्ध है फिर भी पुलिस ने कुछ कारवाई नही किया ... असल में आजकल पुलिस के उपर मुस्लिम आंतकियो पर कारवाई करते ही मीडिया और सेकुलर नस्ल के कई कुत्ते एक साथ टूट पड़ते है ..
What are they smiling about? That someone of their ilk is doing a great job inside cafe and they are lucky enough to be around that area at that point of time? Such people should be exiled from India... we need a deportation law for citizens of India to deport such folks to the country of their choice.